. 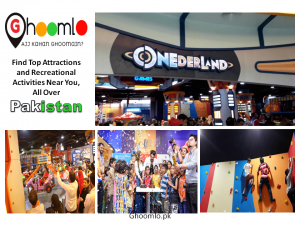 It is conceived to be the ‘Future of Entertainment’ in Pakistan where the visitors are bound to experience a fun-filled and thrilling environment. 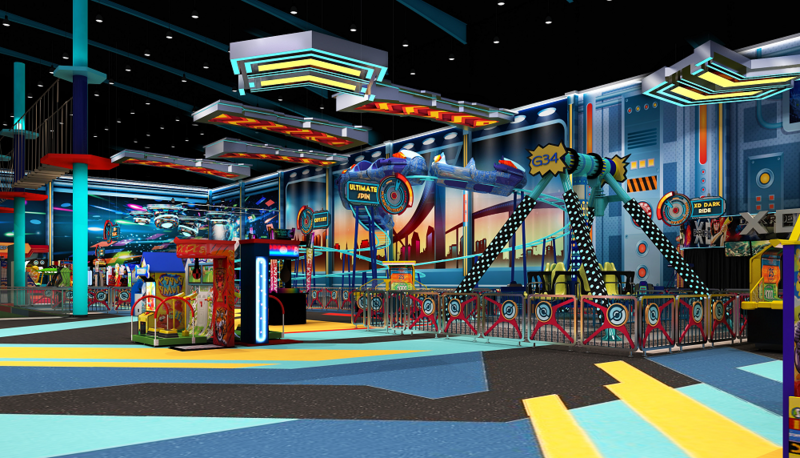 Onederland is installed with modern architecture and technologically advanced Indoor attractions, Rides and Amusement Arcade games from Award Winning Internationally acclaimed manufacturers. Onederland portrays as a contemporary interpretation of a futuristic ‘Wonder-scape’ which is a progressive journey into the realms of a futuristic environment equipped with the perfect blend to transform it into a fantasy world. The synergy of the various themed entertain¬ment attractions has been carefully integrated with the overall design language to create a spatial expe¬rience that is unique and out of the ordinary. The space planning of all the Rides and Attractions in the premises, that are spread on two levels, has been done inten¬tionally catering to various age-groups clearly pronouncing as the Onederland being a complete fun pack¬age for the entire family.